Many answers to frequently asked questions can be found in our enrollment packet. Click here to download and read it. Q: When do new students begin training and classes? A: New students begin the first Monday of every month. Q: Can I go to school as a part-time student? A: Yes, you can attend the school as a full-time student (40 hours/week) or part-time (24 hours/week). Q: How many hours are required to graduate? 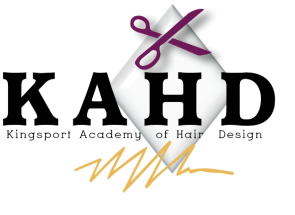 Q: How long does it take to complete cosmetology training at Kingsport Academy of Hair Design? A: It could take anywhere from 9-10 months (full-time) to 12-14 months (part-time). Q: How long does it take to complete nail tech training? Q: How long does it take to complete esthetics training? Q: Does your school offer financial aid? A: No, but we accept V.A. and Eastman credit union student loans. We also work with vocational rehabilitation. Q: What are the requirements to enroll at your school? A: You must be 16 years old and have at least 2 years of high school or GED. 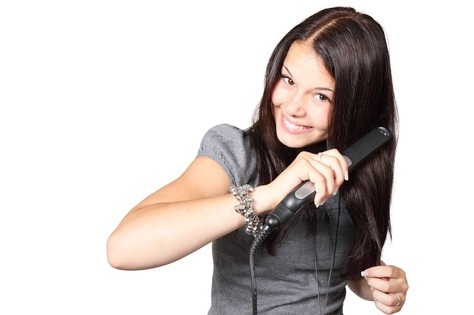 Q: Do I need any previous experience in hair styling to be accepted? A: Fortunately, previous knowledge and experience are not necessary. Kingsport Academy of Hair Design trains and prepares students completely and thoroughly in all aspects of cosmetology. Q: Does your school have a dress code? A: Yes, students must wear black scrubs or black shirts and pants. It is essential for our students to look professional during their training each day. Q: Do you accept credit from high school transcripts? A: Yes, we accept transcripts from 10th-12th grade for cosmetology credit. We also offer a summer program for high school students that are already enrolled in cosmetology and want to earn hours during the summer months. Q: Where is your school located? A: The address is 2617 E. Center St. Kingsport, TN 37664.